Make yourself at home in one of the 75 guestrooms. Complimentary wireless Internet access is available to keep you connected. Bathrooms with showers are provided. Housekeeping is provided daily, and cribs/infant beds (complimentary) can be requested. Make yourself at home in one of the 70 air-conditioned rooms featuring flat-screen televisions. Complimentary wireless Internet access keeps you connected, and digital programming is available for your entertainment. Bathrooms with showers are provided. Conveniences include desks and blackout drapes/curtains, and housekeeping is provided daily. When you stay at ibis budget Bourges in Bourges, you'll be 13 minutes by car from Natural History Museum of Bourges. This hotel is 5.2 mi (8.4 km) from Musee du Berry and 5.7 mi (9.2 km) from Palais de Jacques-Coeur. Featured amenities include complimentary newspapers in the lobby, multilingual staff, and a safe deposit box at the front desk. Planning an event in Bourges? This hotel has facilities measuring 646 square feet (60 square meters), including a meeting room. Free self parking is available onsite. With a stay at Château de Lazenay, you'll be centrally located in Bourges, within a 15-minute drive of Natural History Museum of Bourges and Bourges Cathedral. This golf residence is 3.2 mi (5.2 km) from Palais de Jacques-Coeur and 3.4 mi (5.5 km) from Musee du Berry. Located in Bourges, Brit Hotel Olympia is within a 10-minute drive of Musee du Berry and Natural History Museum of Bourges. 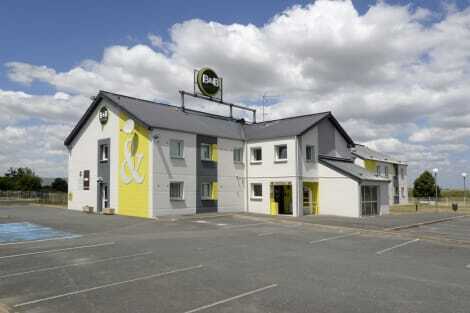 This hotel is 1.7 mi (2.7 km) from Marais de Bourges and 1.9 mi (3.1 km) from Bourges Cathedral. Enjoy a meal at the restaurant or snacks in the hotel's coffee shop/café. Mingle with other guests at the complimentary reception, held daily. Wrap up your day with a drink at the bar/lounge. Buffet breakfasts are available for a fee. Located in Bourges, ibis Styles Bourges is within a 15-minute drive of Natural History Museum of Bourges and Musee du Berry. This hotel is 4.7 mi (7.6 km) from Palais de Jacques-Coeur and 4.8 mi (7.7 km) from Bourges Cathedral. The 4-star Novotel Bourges hotel welcomes you just 10 minutes from the city center and the A7 highway. All our rooms are bright and comfortable. Relish a healthy breakfast by the swimming pool. For your business trips, you can access free WiFi throughout the hotel and meet business contacts over drinks in the hotel bar with its friendly atmosphere. Plan your meetings in our modular rooms named after famous local Grands Crus. At the Novotel Bourges hotel, we are always ready to welcome you. 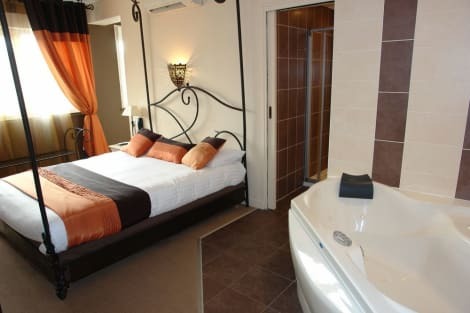 lastminute.com has a fantastic range of hotels in Bourges, with everything from cheap hotels to luxurious five star accommodation available. We like to live up to our last minute name so remember you can book any one of our excellent Bourges hotels up until midnight and stay the same night.